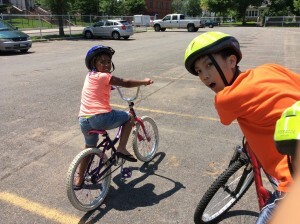 Youth Farmers in Frogtown started the summer with biking and tie-dying. We can’t wait for day 2! Jazzy and Thuan line up for a slow bike race on Day 1 in Frogtown. Previous PostPrevious Yay First Day! Next PostNext Strawberries for All!